Do it yourself GM transponder key programming in South Austin. GM transponder keys have emerged to be a great way to secure GM vehicles. 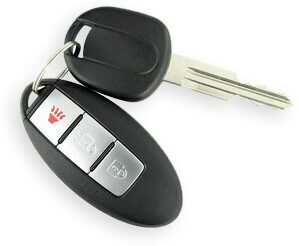 These GM transponder keys allow the car owner control over various features i.e. opening/closing of windows, locking/unlocking the doors, switching on/off ignition etc. Furthermore, they also have an alarm system which gets activated when an unauthorized person tries to use your car. GM transponder keys especially hold great importance for the owners of expensive and luxury cars for their security. If you want to program your GM transponder key in South Austin, we have a comprehensive guide for you that features a complete step by step procedure which will enable you to program your key by yourself. The basic requirement of this procedure is that you need to have a GM transponder key that is in working condition while another that is blank. Step # 1: Be seated on the driver seat and close all the doors and windows of the GM car. Step # 2: Turn to position 1 after placing the working key into the ignition. Step # 3: Go back to position 0, and then take the transponder key out of the ignition. Step # 4: Hold the unlock button of the working key and press the lock button 3 times. Release the unlock button. You will notice that all the doors have locked and then unlocked. Step # 5: Now use your new key. Hold the unlock button while pressing the lock button thrice. Release the unlock button. The doors of your car will lock and unlock, and the process is complete. If the above process does not work for you, follow this alternate procedure for programming the transponder key. Step # 1: Get in the car, be seated on the driver’s seat, and close all the doors. Step # 2: Switch the ignition on and off. Complete this step within 5 seconds. Step # 3: Take the GM transponder key out of the ignition. Step # 4: Press the unlock button on the key and hold it while pressing the lock button thrice. Complete this step within 10 seconds. Step # 5: Let go the unlock button. Upon completion of this process, the doors of your car will lock and unlock automatically indicating that the key has been programmed. If you want to reprogram your other keys, you will have to do it by following the complete procedure explained above within 30 seconds (skipping the step # 1 & 2). You will get a manual guide with the newly purchased blank GM transponder key which you can use to program your key. Moreover, there are plenty of guides available on the internet for this purpose. However, the easiest practice is to turn to a professional GM key service in South Austin for programming your transponder key for a car as not all the guides available on the Internet are trustworthy. A GM key service in South Austin, with their knowledge, experience, and expertise, will program your blank GM key within few minutes and without any risk of landing in a stressful situation if you are doing it by yourself. Home » Do it yourself GM transponder key programming in South Austin.